Harare (AFP) - Riot police in Zimbabwe used tear gas and water cannon Wednesday to break up a protest by several hundred demonstrators gathered in Harare in a fresh outbreak of opposition to President Robert Mugabe. An AFP reporter said police dispersed the rally by beating protesters with batons and firing tear gas, injuring several people as the fleeing crowds threw stones in response. Many of the marchers wore the national flag around their necks -- seen as a symbol of a surge in recent protests -- while unemployed graduates wore academic gowns and others held wooden Christian crosses. Among the slogans on placards were "Once Liberator, Now Oppressor", "Mugabe Must Go" and "You Have Failed Mr Mugabe." 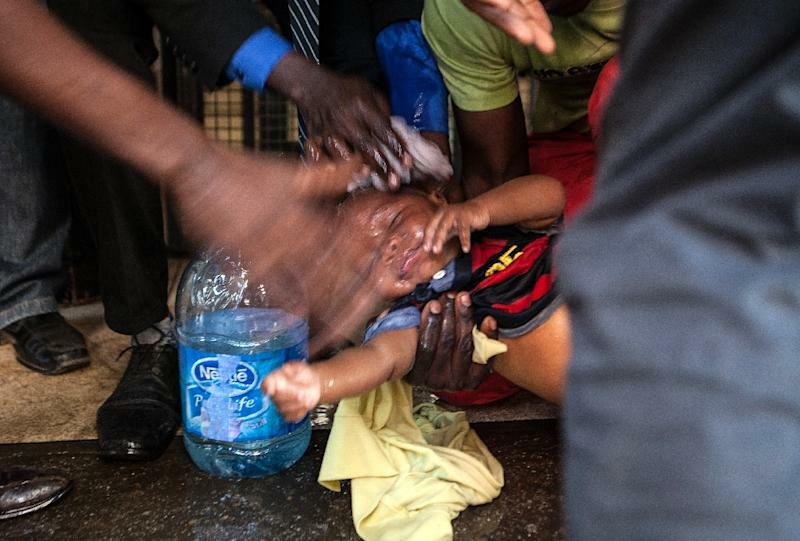 Zimbabwe's economic collapse has worsened this year, with the government now without the funds to pay even its military or civil servants on time. A series of street protests has erupted in past weeks, despite 92-year-old Mugabe's record of using his ruthless security forces to crush public dissent. "One of our members was beaten up and seriously injured. We are trying to establish where he has been taken," Rodwell Nyika, of the Zimbabwe Coalition for Unemployed Graduates, told AFP. Fellow protester Samuel Meso said: "We were protesting peacefully and this is what we get." The graduates had been denied police permission to march in Harare, but they joined a separate protest against government plans to introduce bond notes -- a local token currency equivalent to the US dollar. Many Zimbabweans fear the bond notes could revive the hyperinflation that destroyed the economy in 2008 and 2009. A police spokeswoman declined to comment on the beatings, in which four journalist were among those injured. Police squads had earlier closely monitored the marchers, who had planned to hand in a petition at the finance ministry to demand the bond notes not be issued. After 36 years of Mugabe's authoritarian rule, Zimbabwe has seen a rise in opposition protests fuelled by internet activism using the hashtag "ThisFlag" -- a reference to wearing the national flag in public. 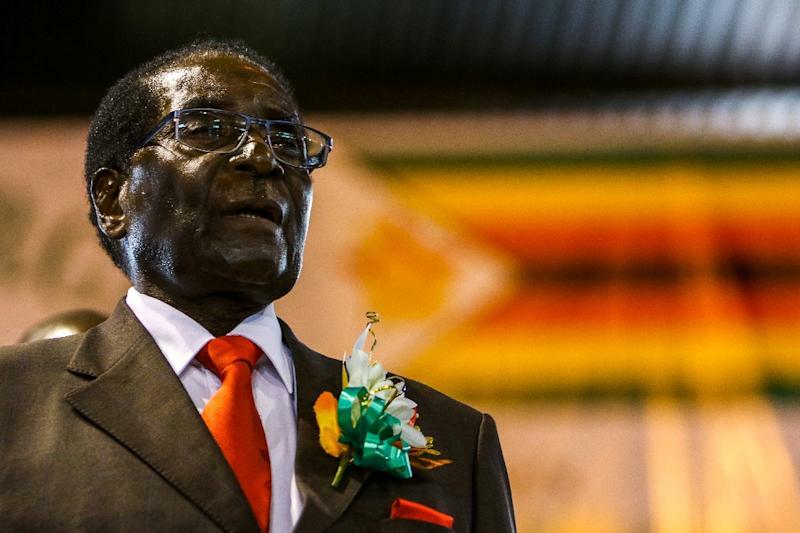 Two weeks ago, Zimbabwe's independence war veterans, who had been loyal allies of Mugabe, issued a strongly worded statement denouncing him and calling on him to step down. Despite his advanced age, the president has fought back, vowing to crack down on leaders of the protests and to punish war veterans behind the criticism. "We know how to deal with our enemies who have been trying to bring about regime change," Mugabe said in a speech last week. Several war veterans' leaders have been arrested on charges of undermining Mugabe's authority. On Wednesday, four of them were released on $300 bail each and ordered to report twice a week to the nearest police station, their lawyer Beatrice Mtetwa told AFP. Last month, a one-day strike shut down offices, shops, schools and some government departments. 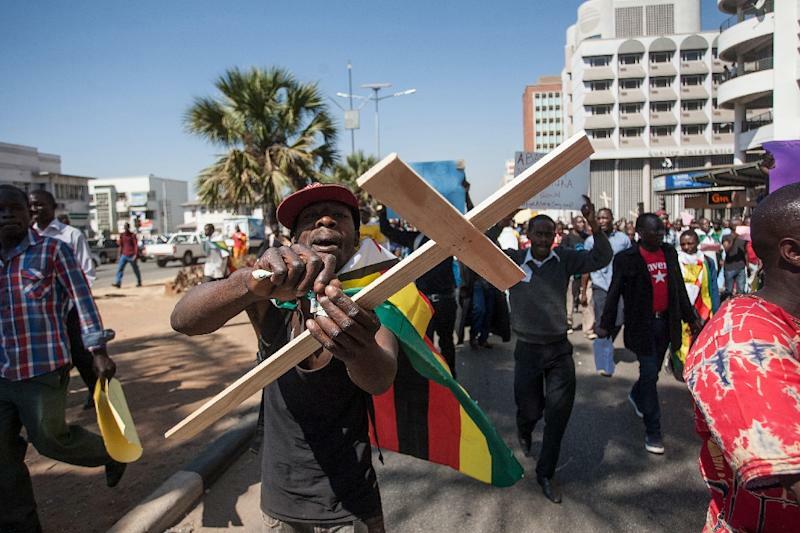 The strike was called by trade unions and Christian pastor Evan Mawarire, who has become the figurehead of the anti-government protests. Mawarire is currently in South Africa with no set date for his return to Zimbabwe after Mugabe threatened him directly. The president, who is increasingly fragile, has vowed to stand for re-election in 2018, though party seniors have long been jockeying to step into the role when he dies. Mugabe's wife Grace and vice-president Emmerson Mnangagwa are among the possible successors to the world's oldest president.